The LA native’s picks are perfect. R&B, Pop, and Electronic? Who says you can’t have it all. 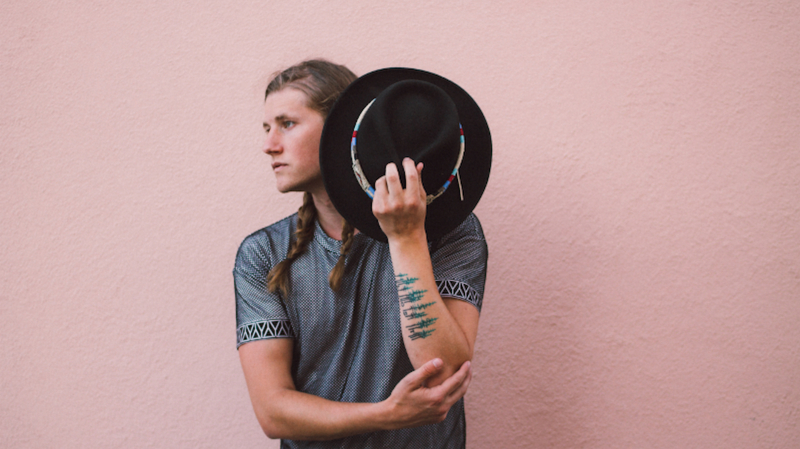 Lostboycrow is the genre-blending artist you need to know this year—with smooth vocals, thoughtful lyrics, and a unique mix of upbeat synths and warm vocals, his songs are a cozy escape from the status quo of today’s pop-scene. His latest single “I’m A Sailor Not a Salesman” exemplifies this, and establishes his own brand of musicality. This Los Angeles-based storyteller may just be getting started, but he’s no stranger to bringing his act on the tour. Having toured with VÉRITÉ and co-headlined with Flor, Lostboycrow is settling comfortably into the ranks of our favorite new artists. Hot off the release of his EP, Traveler: The Third Legend, and with 14 dates left on his North American tour, the “Scorpio” singer is poised for an exciting 2018. We caught up with the dream pop purveyor to see what he’ll be listening to between stops this March and April. Hint: between tracks from Frank Ocean, Whitney, and Prelow, this is one you'll want to click 'Follow' on. Check it out below and make sure to Track Lostboycrow on Bandsintown to stay up-to-date with all his touring news! "One of my all time favorite bands I discovered while recording in Portland, and a perfect example of how the most compelling art is the most believable. Hockey vocals/lyrics are always drenched in believability and this track is no exception. The kind of track that can only be escorted by a smile so deeply rooted in memoriam it would go unnoticed but for a gentle smirk pulling on the corner of the mouth. Enjoy the entire discography." "My buddies in Flor can never say enough good things about this band so I've been diving into this album and haven't met a song I don't like. This one just feels like movement. It feels like hand out the window on the freeway looking forward to the rest of tour and the rest of this life with good people." "I don't know anything about this band but I've never felt more at home catching the waves of each rolling hill between where I am and where I'm headed." "I've never not been in the mood for Tokyo Police Club. I've never felt so invincible while simultaneously trying to juggle the weight of my own mortality." "I don't even know what to say just do yourself a giant favor and listen to this and never grow up." "Weezer is such an important vein to the heartbeat of what inspires me. This track just feels so damn Weezer-y I'll never get enough. It makes me feel like Built to Spill is playing prom and everyone is Chad Michael Murray but I'm a young Milo Ventimiglia." "My tour buddies finally just put this gem on Spotify and as much as I absolutely love every single second it's one of those tracks you just really wish you wrote." "This band is one big, beautiful, sad lucid dream and a perfect soundtrack for anything and everything that flashes across the window of your mind as you cut through life at *coughs* mph on the freeway." "I remember hearing this song growing up, different versions of course, and being completely enamored with the lyrics and melody. It was so timeless and evocative - when Frank beat me to the cover I couldn't even be mad. Just as timeless as ever but with all the weird, silky, powerful moving parts of Frank Ocean. This one always makes me feel a quiet sort of contentment with being in motion on the road." "This band has been able to so brilliantly paint pictures of the landscapes they've seen. Don Henley can do no wrong and this is a very Don-heavy song. You can almost taste the dust of every ghost town listening to this one." "I always seem to learn a bit more about myself and the world around me while ending up with more questions about both. That's just good art. This is a travelers soundtrack. Never a wasted lyric."